The latest American Society for Aesthetic Plastic Surgery statistics show cosmetic surgery’s increased popularity in 2016. The reality, is that for patients to achieve their desired long-term results they need cosmetic surgery in addition to topical treatments and fillers. Trending in 2016 is a combination approach — even a multidisciplinary approach — to surgery, using more than just one procedure to achieve desired patient results. Luckily for patients at ADVANCED, this is what our own Dr. Bassichis has been doing all along…the media is just now starting to notice. The best work is with combination therapies using facial plastic surgery, laser, injectables and topical treatments to achieve the best outcomes. More than blending disciplines, today’s patients are benefiting from a blending of technologies to attain truly rejuvenated results. Many plastic surgeons are concerned over the over-promotion of results from nonsurgical treatments. Too many times, the patients bear the brunt of the failed treatment, both aesthetically and financially. ‘If it sounds too good to be true, it probably is,’ is a true mantra in the aesthetic field. New technologies that truly produce effective, dramatic results will rise to the top, while others will continue to fall in the pile of other failed and overhyped treatments. While surgery continues to be the predictable and ultimate treatment for conditions of excess skin and fat. 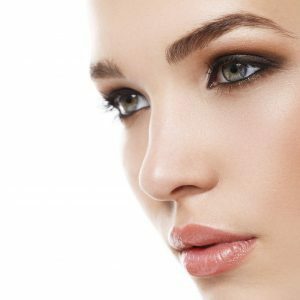 Facial plastic surgery remains the gold standard for facial rejuvenation. But when combined effectively with laser and nonsurgical treatments can offer patient noticeably improved long-term results.